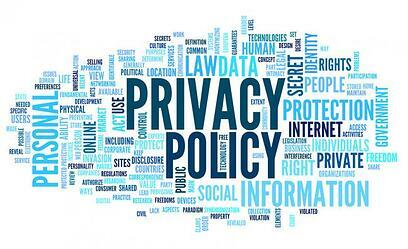 New EU legislation surrounding customers' personal data will come into force next May. Any business that collects or stores information such as email addresses, telephone numbers or addresses will have to comply with the strict regulations. On the one hand, the introduction of the General Data Protection Regulation (GDPR) is seen as positive for EU citizens. It will allow them greater protection of their personal information; reducing unwanted communications and lowering the risk of fraud. However, it is expected to cause complications for businesses of all sizes, so it’s wise to start preparing straight away. GDPR is applicable to any business with 250 or more employees. It may appear as though small and medium sized businesses are exempt, however, this is not the case. Any business which regularly deals with certain types of information must also comply, and this includes information such as health, political preference and ethnic background. The majority of businesses deal with personal data on a daily basis. Whether your employees are out on foot, phoning potential customers or sending emails, the way you collect and store data will change. The legislation not only applies to customer data, but also includes information your company holds on employees, suppliers and anyone else your business has a relationship with. The biggest change to affect small and medium-sized businesses is the way data is collected. Consumers must now provide their express consent to hold and use their data at the point of collection. What's more, this legislation will be applied to any data your business currently holds. Information that has been collected without following the new laws can no longer be legally used. You must now be able to prove that your customers have “opted in” to email subscriptions, giving you permission to use their data. Businesses will be also required to change the way they handle data loss. Under the strict new laws, any data that is lost or stolen must be reported to the Information Commissioner’s Office (ICO) within a maximum of 72 hours. Companies may also be required to appoint a Data Protection Officer, someone with expert knowledge of how the company is adhering to GDPR. If you don't have the funds to hire a new member of staff, you can choose to outsource this task. What Will Happen If My Business Doesn't Comply? Although GDPR is an EU regulation, following Brexit, UK businesses are still required to comply if they hold data of any EU citizen. There are huge penalties in place for companies that don't adhere to the new regulations. The maximum fine for breaches in data protection is currently £500,000, but under the new legislation, this will rise to €20 million. It's important for businesses to start preparing for the new regulations straight away. This means your company should first start by researching GDPR, exactly what it entails, and best practices to ensure proper safeguards are in place. Your company may have customer data stored in a vast number of places, therefore it is necessary to track everything down, whether it's in files, stored on external drives or in the cloud. This isn't a task that can be completed overnight, and may require the combined forces of different departments. Your IT, Marketing, Legal and HR departments should all be involved in making sure that your company is GDPR compliant. All other staff should be adequately trained to make sure that they are dealing with customer information appropriately and legally. You can reduce your responsibility by making sure to only collect the data you require. Streamline your data collection processes and implement as soon as possible to iron out any initial problems or complications. If you find that your business has collected a large amount of unnecessary data in the past, dispose of it in a safe and legal manner. If this process proves cumbersome, it might make sense to consider evaluating your current business management system. By ensuring that you can manage and query your customer data quickly and efficiently with your business management system will help you maintain compliance. A business management system will enable you to consolidate all information from across the organisation into a single database. Beyond customer relationship management, business management solutions provide visibility throughout the entire organisation, and allows a business to connect information across all departments. The GDPR and the regulations that follow will surely require a concerted effort from businesses to ensure compliance. By adopting a system that allows businesses to store customer information, while being easily accessible to all staff, will put your business in a better position to meet them. In preparation for GDPR, if you think your business may have outgrown your business management solution, download How to Recognise the Signs that Your Business Has Outgrown your business management solution .